Last year, one of our Christmas activities with our children was to write letters to Santa Claus (read our post here)! 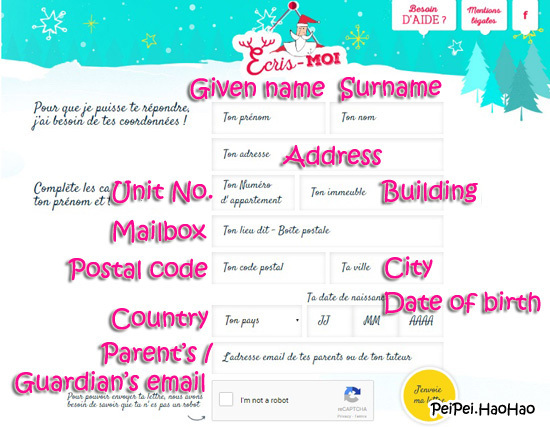 We wrote to Santa at Engelskirchen in Germany, Slovakia and Canada, and we sent an online card for Santa at France. Guess what, all four of them replied us! This is from Engelskirchen in Germany! This is from Slovakia! It comes with a music CD! 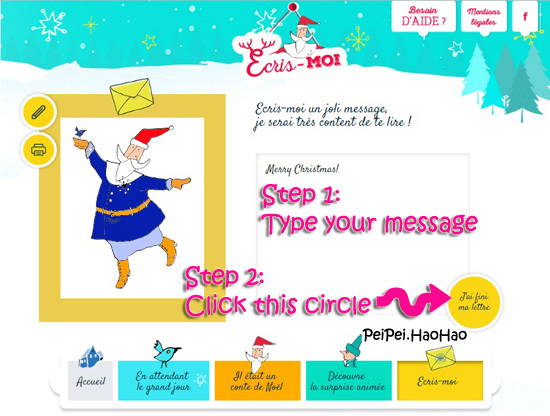 This year, we will be sending an e-card to French Santa, it is free! Read the tutorial at the end of this post! In 2015, we paid SGD1.30 for each letter to Canada, Slovakia and Germany. There are 7 addresses in Germany! I read that some of the German Santa sent 3-4 postcards and a letter to the sender in the past. This address is cool! I read that some lucky senders received dry maple leaf in the past! But we didn't get one last year. We received music CD from Slovak Santa! 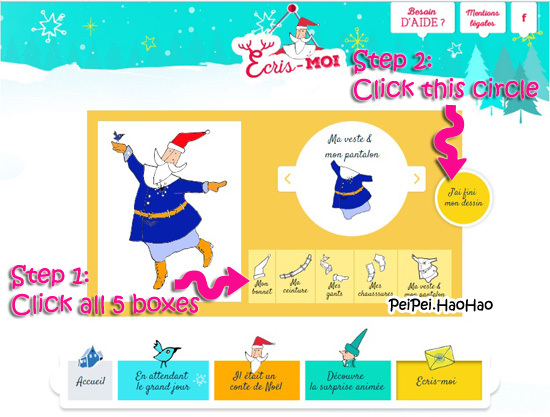 For each of the 5 boxes, you can choose different colour of the Santa's outfit by clicking the left and right arrow at the circle. Ton numero appartement: Unit no. Click on the box "I'm not a robot", and click on the yellow circle to submit. 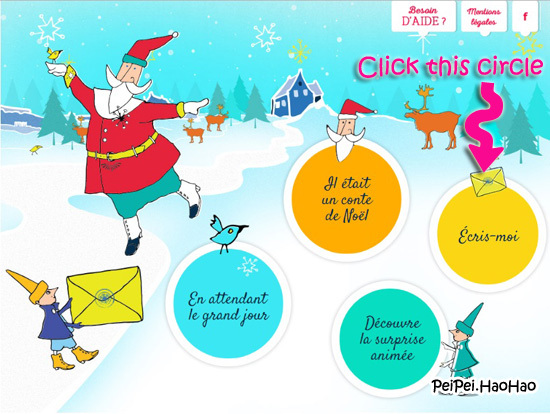 Santa Claus from France is super efficient! We received his reply 10 days after we sent our e-card!